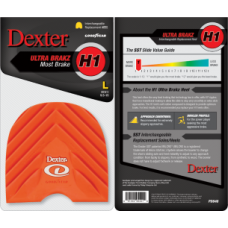 More Brake (Less Slide). 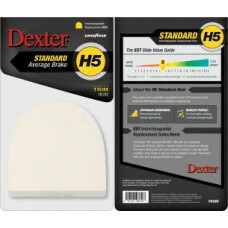 Compatible with all Dexter SST 5 and higher shoes. 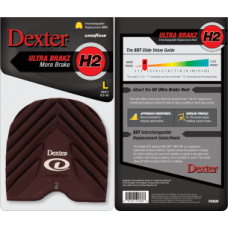 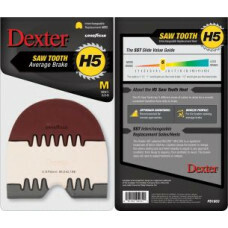 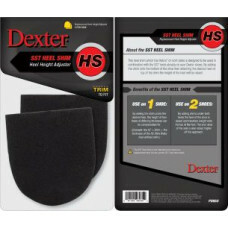 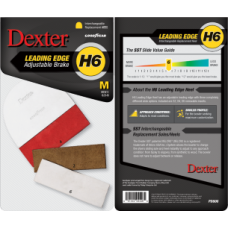 Recommended for slippery..
Heel h5 Standard Brake; Standard Slide Rubber Compatible with all Dexter SST 5 and higher shoes..
Sawtooth feature blends the three different rubber textures better for a smoother transition. 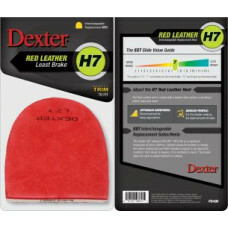 For th..
For the "stroker" who wants the least amount of brake this H7, Red Leather heel is exactly what is n..